With a lot of misinformation spreading around online, it’s often hard to trust a salesperson. There are so many other people you would more willingly put your trust into, right? From buying cars to makeup to electronics, do you find that you trust your friends, family, and even Google searches over official salespeople and websites? Unfortunately, it seems like many websites will say and do just about anything to get you to buy or sign up for their company’s products or services. Marketers have been doing this for decades. They create campaigns with the goal to sell. As online consumers, many of us realize that this is their only goal, and we become more skeptical of these campaigns over time. It’s especially annoying when every website claims to have the best product without any actual facts to back up this claim. 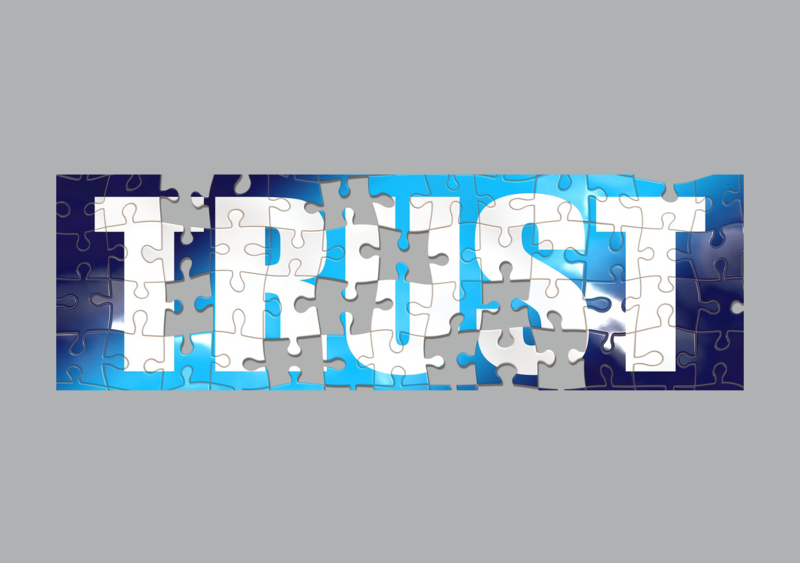 So now that consumers are wising up to these tricks, what can you do to make your website more trustworthy? Let's go over a few things you can do to help your image, reach out to your audience, and spread the word about your business in a beneficial way. While your site needs to have some about me information somewhere, most consumers will not care about you or your company until you give them something to care about. If you want to create that good initial customer connection, you need to put them at the center of everything you do, not yourself. If you simply create a site that produces and promotes content that says nothing more than how amazing your product is or why your service is the best, you will lose the consumer before you even have them. Right now, the customer wants to know how your goods or services are going to help them. So how can you do this? First, you need to create content that offers a solution to a specific problem. Create content that taps into the emotional wants and needs of your audience. Make sure your product does not become center stage by shoving aside your customers and their needs. People will buy from those they trust, and that trust comes from being open, honest, and educational. You need to show your audience that that you know your stuff and understand their wants and needs. Doing this will go along way in making your website more trustworthy. One great way to improve trust is to bring in content that’s created by an expert in your field. You can do this by interviewing them, asking them to create a piece of content for you, or creating a video that showcases their expertise. This is especially useful if you have not yet built up enough authority yourself. When you use this method, you will become an expert by association, because you’re offering established, trusted information to your audience. Keep in mind that you aren’t bringing in these experts to help you sell your product or service. Rather, you’re doing it to become the go-to brand in your niche. This will ultimately show your audience why they should trust your site over others. We know that there are websites who will create fictional stories of people using their product to help sell it. Many consumers are tired of this sales tactic. Consumers are now looking for real stories from real people that they can connect with and relate to more directly. Remember, you are creating a website centered on your audience's needs and emotions, not on your product. Social media really helps businesses reach out and find these real-life endorsements. You can get stories by reaching out to past customers and asking them to spread their experience with your product and post about it on your website as well as your social media pages. They can post stories or even videos and pictures. Endorsements coming straight from the mouth of your customers show your audience that you aren't hiding anything and that your product has already worked for someone else. When they see this, they may start thinking that the product could work for them too! Building a community that supports your product is a great way to find more customers, especially through social media. This can happen when you take all the points mentioned above and combine them together. Doing this will help you start building a community around your brand. This is an important step for today’s market, as it’s becoming easier by the day to just click and buy online. Consumers are in control of the social media they follow and who they interact with online. The days of old-fashioned website strategies that just push to sell are gone. The marketing ring is now welcoming a collaborative approach between businesses and their customers. This helps build a community, and trust is becoming the most important factor for you to apply when it comes to your marketing strategies. Creating an online community can boost your brand, because it provides you with an active base of customers who are willing to talk about your product. These are people who can give your social media the validation you need to build a trustworthy brand. With the right community, your customers will be bringing in more customers for you! Help your customers feel like they are a part of something good, and create content that’s geared towards them and their needs and emotions, all while showing your expertise. Using these points will go along way in helping you establish authority, which will create trust. If you provide good content, are honest, and directly interact with your audience, and you are well on your way to having a more trustworthy website. If you want more information on how to use social media to help your business, check out VMA’s blog that goes over how to track whether or not your social media strategy is working!